Jeff Griffiths – Jeff is the owner and president of Miller & Associates and has been in the industry for 25 years. He brings a unifying team concept to the group and is proactive in creating and developing great relationships with our partners. Jeff arrived at Miller & Associates in February 2005 and also manages sales in Northeast Texas . 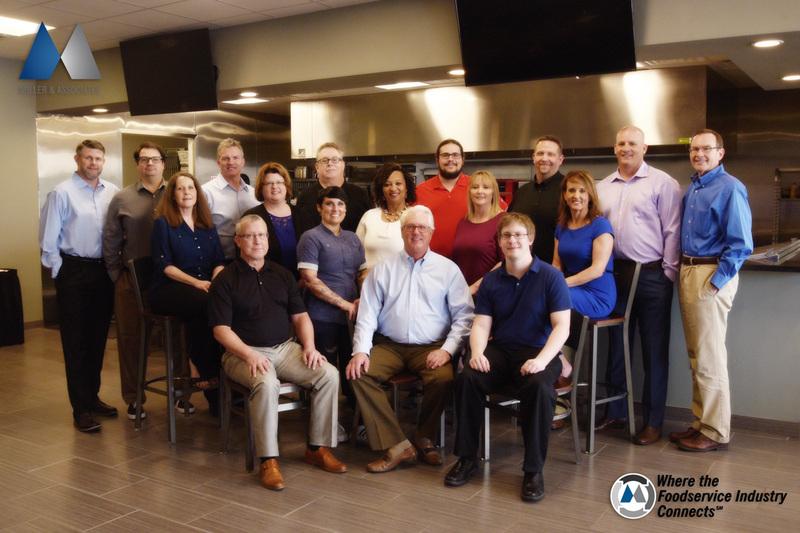 He came to Miller after seven years at a competing rep. firm, and prior to that he spent five years as a salesperson for ISI Commercial Refrigeration. In November 2006, Jeff and Bobby Watson purchased Miller & Associates from Margery Miller. 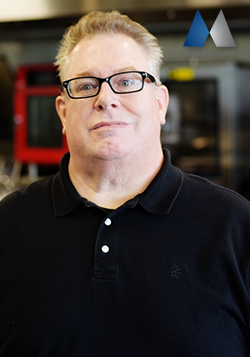 Jeff enjoys working in all segments of the foodservice industry: Consultants, chains, end users, and dealers. 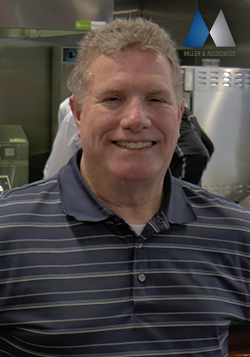 Dan Nelson, CFSP – Dan came to Miller & Associates in November 1989 and is a sales rep. in the Austin/San Antonio area. He has a broad range of skills that offer many benefits to our customers and factories. He is successful working with end users, consultants and dealers. Prior to his move to sales Dan was responsible for quoting and technical support on design projects. In the field, his extensive knowledge base, attention to customers’ needs, and sense of urgency contribute to his success. JoAnne Stephenson – JoAnne joined Miller & Associates in January 1999, and she handles outside sales in North and West Texas. She has worked in hotel operations and has managed restaurants for Steak & Ale and Olive Garden. Furthermore, she enjoyed great success as a salesperson for foodservice dealers and manufacturers. With all of her operational experience, JoAnne loves to “dive in” and work with end users to find the right products to satisfy their needs. 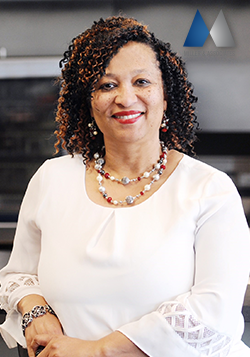 She excels with foodservice directors at schools, hospitals and corporate commissaries. Greg Morris – Greg joined Miller & Associates in March 2007 and manages the North Texas & Oklahoma markets. He provides technical sales for several large projects and specific customers. Greg joined M&A after four years at a competing rep. firm, and prior to that he spent 9 years as an account manager, sales engineer, manufacturing engineer, and quality engineer in the automotive manufacturing industry. 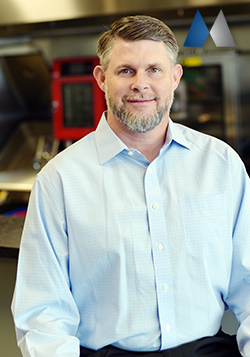 Greg is experienced in all segments of the foodservice industry and has achieved success in the convenience store segment, particularly with QuikTrip. Greg’s unique background, including manufacturing, sales, engineering and account management is a tremendous asset to our company. He allows us to provide a new set of services to our customers. Tug Toler – Tug covers the DFW territory, focusing on chains, consultants and K-12. He’s been a manufacturer’s representative since 2007 and had 5 years of experience in the hospitality side of the industry; as a short order cook, fine dining waiter and bartender. He and his wife were married in 2007 and became proud parents of a daughter in 2010 and again in 2014. Tug is a graduate of Texas Tech University, where he was a founding member of an Improv Comedy Troupe that is still performing today. His interests are culinary, SCUBA, sports and other outdoor activities. Jeff “JT” Thompson – JT joined Miller & Associates in 2011 and brings a wide variety of skills and experience to the team. For 15 years he worked in restaurant operations for large chain accounts training managers in BOH (Back of House) operations. He then had the opportunity to work with a variety of Kitchen Equipment Dealers for 13 years. 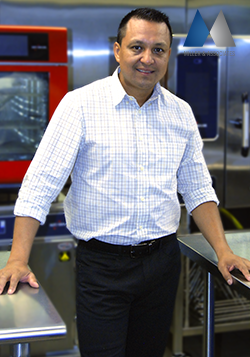 Daniel Bonilla – Daniel has extensive foodservice operations experience. His experience includes 7 years managing kitchens at Corner Bakery, 6 years as a training chef for Pei Wei, and 7 years as RD Chef/Culinary Operations Manager for Zoe’s Kitchen. Daniel also owned and operated his own restaurant. 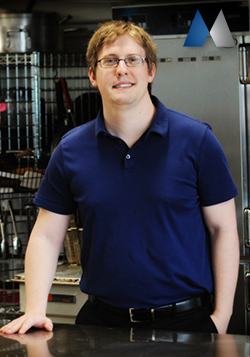 Daniel’s experience allows him to provide unique services to our end user, dealer, consultant, and factory partners. He has a great work ethic, and a strong desire to add value throughout our distribution channel. Mike Krueger – Mike joined Miller Associates at the beginning of 2019. 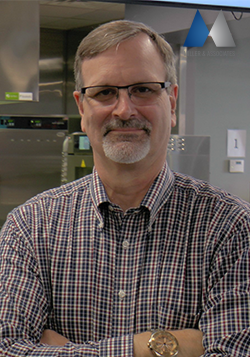 Mike has a 30 year background in the foodservice industry. 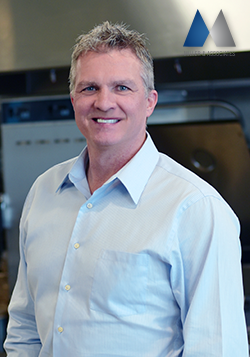 He has managed foodservice operations at the store level within a major chain and has been an independent sales agent. 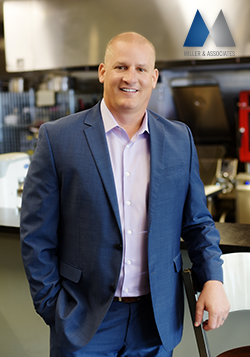 For a majority of Mike’s career, he has worked with a major foodservice equipment manufacture as a Business Development Manager, Regional Manager, National Chain Account Manager, and Segment manager for the Retail Industry (Supermarkets & Convenience Stores). Mike has had a working relationship with Miller & Associates for over 10 years in jointly developing business in the Texas and Oklahoma market. Mike and his family are long time residents of Kingwood, TX and will be covering key accounts in South & Southeast Texas, and the K-12 market in the Greater Houston area. Chris Miller – Chris manages all of the marketing and communication efforts including social media, website production and brand development. He also provides marketing support for our outside sales team and all customers. Chris has over 25 years of marketing experience, primarily with large manufacturers as well as small to mid-size businesses. Cheryl Brewster – Cheryl joined Miller & Associates in March of 2017. 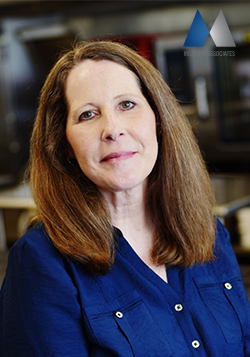 She brings 18 years of restaurant equipment experience along with a willingness to help to our company. She is our in-house sales support and Quotation Manager. She is a Mom of three and spends most weekends cheering on her youngest at various Volleyball tournaments. 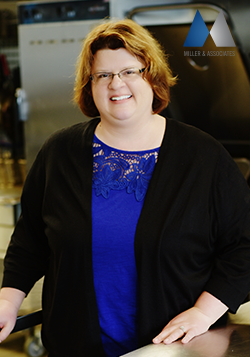 Diane Hager – Diane joined Miller and Associates in January 2016 with 16 years of restaurant furniture manufacturing experience. She is our in-house restaurant furniture specialist, and supports our quoting department and outside sales representatives. Laura Thompson – Laura joined Miller & Associates in November of 2017. Laura is in the Inside Sales department and provides sales support to our customers and Outside Sales. 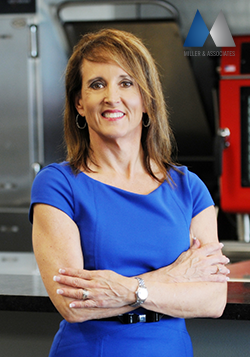 She previously was employed by Bally Refrigerated Boxes and her diverse background in construction, sales, and the food industry gives her a well-rounded view on the restaurant equipment industry. Reggie Thornhill – Reggie is in the Inside Sales department and provides sales support to our customers and Outside Sales. He is an ordained minister with a Master in Religious Education and a Master in Marriage and Family Counseling from Southwestern Baptist Theological Seminary. 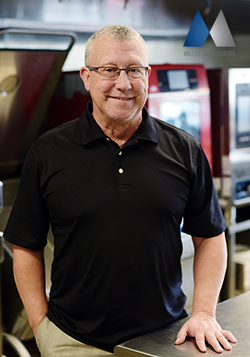 After many years of vocational ministry, he transitioned into the foodservice industry to begin what became a 20 year career as a customer service rep for a locally based smallwares rep firm. He is happily married with 3 kids and 5 grandchildren. Reggie loves to play golf and enjoys helping people solve everyday problems. Tammy Hutchison – Tammy came to M&A in January 2006. In February of 2007, she was promoted to Office Manager. She joined Miller with a strong working knowledge of how paper flows through an office, and with extensive management experience. Her background is in the insurance business where details are extremely important and proper documentation is a key to success. For M&A, Tammy utilizes her attention to detail as she processes all of our purchase orders. Since she began this task, our office has not lost one order. By setting up order tracking protocols, and also by sending orders to our factories with corresponding quotes, we have been able to process orders much more quickly and efficiently. 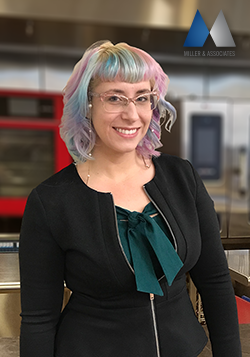 Tammy also helps by proofing quotes, general customer service, and managing necessary information during chain rollouts. 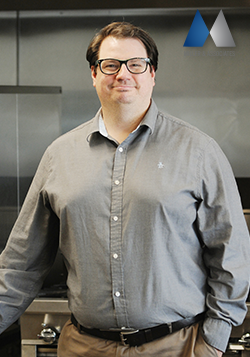 Travis Worsham – Travis has a broad range of experience in the foodservice industry, working at both the dealer and end-user level. Travis currently manages the commission process within Miller & Associates. Tucker Meyers – Tucker Meyers works as a part of the inside office staff at Miller & Associates and deals in orders processing, data entry, and overall customer service. He came to Miller in the summer of 2013 as a part-time data entry worker and was hired on full-time in February of 2016 in an expanded role with a better understanding of the office processes as a whole. 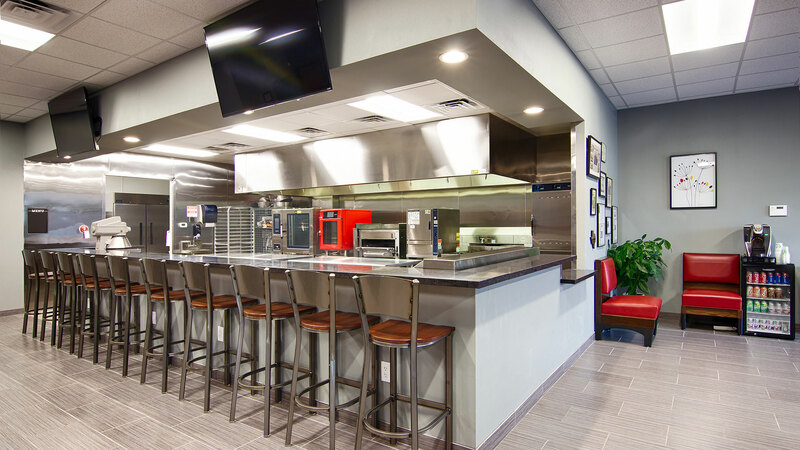 Having earned his bachelor’s degree in video production from The University of Texas at Arlington, he also brings a new skill set to the Miller team through the production of training/demo/culinary videos that service Miller and its ever-growing foodservice network. Tucker greatly enjoys having the opportunity to be a part of the Miller family and strives to always be of the utmost service and support to its customers in any situation. Mason Meyers – Mason is part of the inside office staff at Miller & Associates and deals with orders processing, data entry, and overall customer service as well as helping with the commission process and other office organizing. Mason, much like his brother, started at Miller in May 2013 as a part-time data entry worker. After finishing school and earning his Bachelor’s degree in journalism/public relations from Texas A&M University – Commerce in July 2017, he was hired on full-time. With his knowledge in the field of PR and journalism, Mason also helps with blog writing and website maintenance, offering yet another new skill set to the Miller & Associates team.